Stride Ahead is the natural ‘next step’ from Toe By Toe. Toe By Toe teaches ‘decoding’ skills. 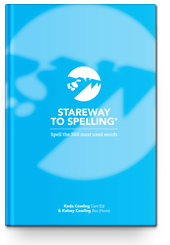 This enables students to read more fluently with good pronunciation. However, many still need help in making sense of the written word. This is where Stride Ahead helps. Many students reach a ‘reading plateau’. They have good reading skills, but still face problems in understanding text content and extracting meaningful information from it. This has consequences for a student across all subjects in test and examination situations. For maturer students, it can also impact on their ability to do their job competently and effectively. Author Keda Cowling believes that this inability to extract meaning from a text results from their minds being too ‘busy.’ That is, they think too much about the mechanics of decoding the written language. This results in them being unable to give adequate time and attention to the meaning in a text. A further consequence is that they become stressed in time-limited situations (like tests, exams or work-related situations) and so fail to perform to the best of their ability. Stride Ahead offers a solution to this problem. The manual uses ‘timed exercises’ to sharpen and focus student’s reading and comprehension skills. ‘Timed exercises’ help ‘accelerate’ a student’s ability to more quickly process the information contained in a text. The exercises also help students and to extract meaning from text more rapidly. DON’T DELAY! 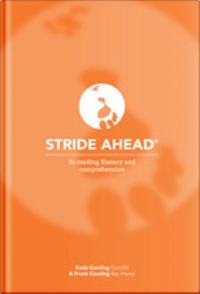 GRAB YOUR COPY OF THE STRIDE AHEAD MANUAL – NOW!